Do you worry about your wellness programming? Planning for roll out, building participation, and designing outcome measurements can be stressful. What if you didn’t worry about past program setbacks or future biometric measurement reports and just focused on the present moment? Stop, breathe, let go. What is happening right now in your wellness programming? Maybe you are in the middle of a corporate wellness challenge, and an employee is showing their spouse how their activity syncs with your portal to move them through a virtual adventure. A manager and her staff may be having a walking meeting to hash out the report they’ve been struggling to complete. All of a sudden, you are not so worried about planning next year’s onsite screening, which portal you will use and what biometric measurements will be the goal for incentives. Focusing on the present moment enables you to take a step back and make better decisions. This is being mindful. You’re not worried about what’s going to happen tomorrow or dwelling on what happened before. Over the last 30 years, self-reported levels of stress continue to increase for men and women. This has huge consequences as stress plays a leading role in a wide array of illness. Studies prove that mindfulness can help ease stress, foster positive emotions and help provide resilience against negative experiences. Mindfulness training. Plan a workshop or presentation teaching how to practice mindful meditation. Mindful space. 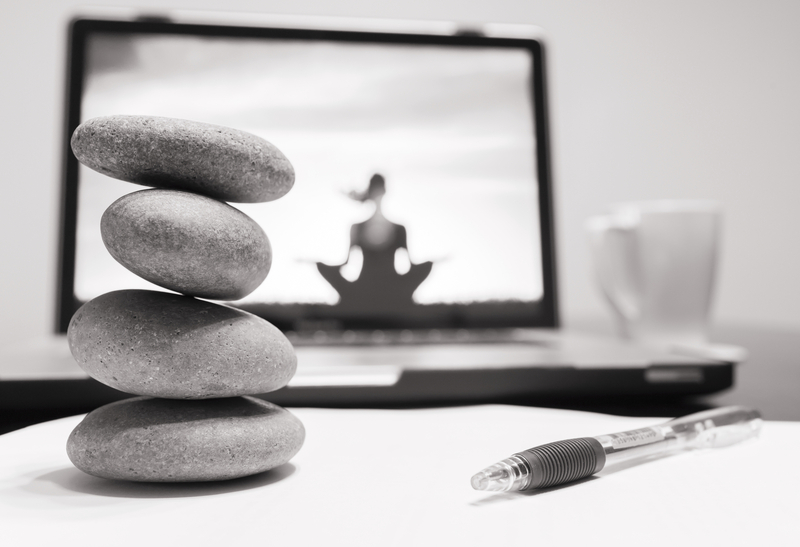 Provide a quiet place that employees can go to practice mindfulness. Have a comfortable place to sit or stand and reading materials with tips for mindful meditation. Mindful minutes. Offer a few minutes of silent mindfulness before staff meetings. It helps people have a mental break from whatever they were doing before the meetings to take five cleansing breathes. Gratitude notes. Create “gratitude grams” that employees can fill out to give to other staff members to recognize and give thanks for something they appreciated. Positive posting. If you have a wellness portal with social media, promote positive posting where employees can share one thing they are grateful for each day. Pay it forward programs. Encourage employees to perform random acts of kindness. Kindness is teachable and contagious, so plant the seed in your population and watch what grows. A wellness coach can teach mindfulness practices as an integral approach in helping people find their motivation to improve their lives.